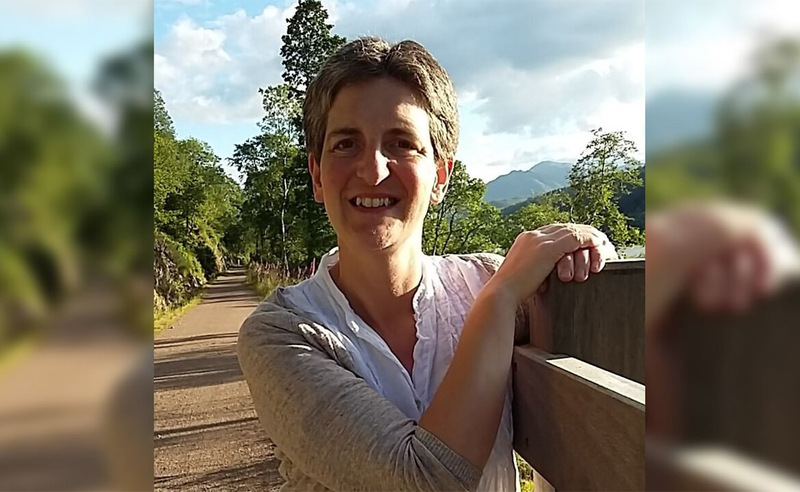 In the latest of our My Ministry blog series, we meet Rev Amanda MacQuarrie, Parish Minister of Bo’ness Old Kirk. Studied at which Church of Scotland college? I studied at University of the Highlands and Islands (Highland Theological College). When qualified as an ordained minister? I was ordained in December 2014. How you were called to serve God? I was 16 when I first felt called to Ministry though I chose not to listen because I thought I knew what a Minister was like… and it was nothing like me! But that call didn’t go away. 20 years later, when a hurricane cancelled worship in the church on the tiny island of Barra where I lived, I finally agreed to explore that call… and I sensed God smile. Briefly describe your parish church and the community it serves. Like many other small towns in Central Scotland, Bo’ness was once full of mines, foundries and docks. Today it’s mainly a dormitory town in the commuter belt for Glasgow and Edinburgh. The parish is mixed with two primary schools, a sheltered housing complex and community hospital and it covers the West half of the town. We’re a lively, committed, multigenerational congregation who meet on a Sunday morning for worship, offering different opportunities for fellowship throughout the week, and we’re committed to finding new ways to share the love of Christ with the communities we’re all involved in throughout the week. What is it about your role you find most rewarding? Am I allowed to say all of it? I love being a Minister. It’s a real privilege to be called to lead others in worship… and to be allowed into peoples’ lives, to share with them at their moments of greatest joy and deepest sorrow… and everywhere in between. What the Church of the future will look like in Scotland when today many no longer see the Church or faith as something which is relevant to their lives, where people are no less spiritual but where the last place many of them look to quench their thirst is the Church or Christianity. What skills have you brought into your role? I’m very down to earth and approachable, warm and caring, with a head bursting full of ideas. And what skills have you learned in the role? To let go of my expectations and those that others have of me and just be me. So far, what has been the highlight of your career as a Church of Scotland minister? Not sure I can choose one. Each baptism is a highlight, as is Communion, welcoming my daughter into full membership of the church as she and others professed their faith, welcoming over 70 children and their families to our Christingle Service on Christmas Eve. Opening our church up to over 100 children in our annual holiday club in July and welcoming them and their families to worship in a packed church on the Sunday. But mainly just the simple joy of joining together on a Sunday morning to share God’s love with one another. I live with my four children, two dogs and a friendly hamster… so relaxing usually involves them. But I love to get outside and walk, or run, or kayak, or read a book if I’m feeling less energetic and catch up with friends. What’s your message to thoseconsidering applying and training for a life in Ministry? Stop putting it off or thinking that God couldn’t possibly be calling you… or that you’re not the right type of person. Have faith and explore it. Trust God, if it’s from Him, He’ll give you all that you need to answer that call.